So you’ve arrived at our site and finally made it to the information! Don’t worry, we know you came for the hats and may not need or want the information, however, we would be doing our customers a disservice if we didn’t generally explain how sizing and shape will affect your purchase. We want you to look and feel like a million dollars in our products. Half of that feeling comes from wearing the right sized hat. The other half comes from having a hat that best suits the shapes and contours of your face. A hat’s shape and size plays a key role in the overall look, and feel, which the wearer receives from it. We have listed our graphic of typical face shapes and corresponding hat shapes and styles which best compliment the wearer. Remember, these are general guidelines but they are not absolute rules. You should ALWAYS strive to wear what makes you feel comfortable and confident!!! For Oval shapes, consider yourselves fortunate, you can really pull off any style. Whether it’s our “Jumbo Rainbow,” or our small felt designs like “Delicate Flower.” For men, the “Boat Club” and any of our Fedoras look excellent because of the hat/head proportional symmetry. For Long shapes, your goal should be to shrink the overall hat/head appearance. Typically this means avoiding tall crowns. We recommend our summer floppy brims, cloche styles, bucket hats, flat cap looks like our “Chloe” hat, and our seasonal wide brimmed hats. For Round shapes, you should be taking advantage of tall crowns and wide brims. Creative shapes and brims look great on your face shape. “Copper Sky” for women is an example of a big, creative brim style. For men, Fedoras, Derby and Bowlers work well. Most of our hats are perfect for your shape. For Square shapes, it will depend on your face size. A larger face will look better in hats similar to those which work well for the Long shaped individual. Short face sizes will find that they identify with the Round shaped individuals. Your goal here is to make the area below your nose look “softer,” or more rounded. Cloche hats, round or circular hats, and floppy brims tend to look great. 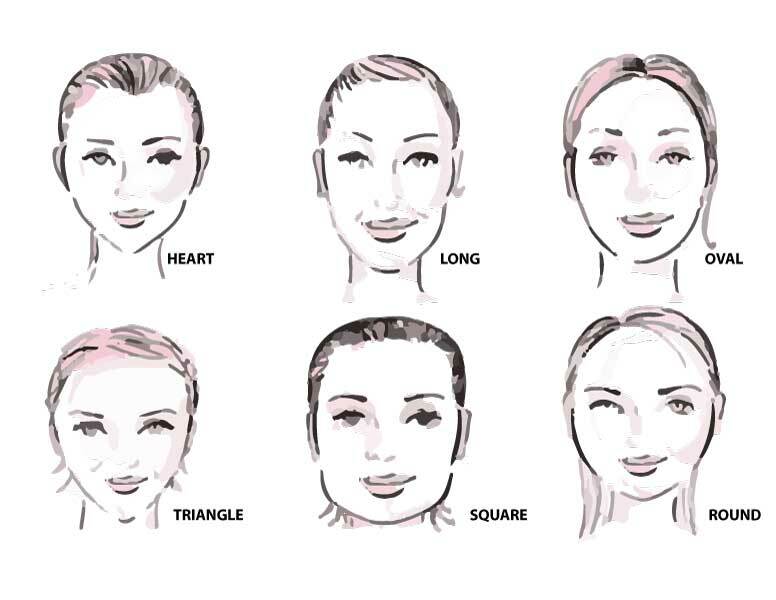 For Heart shapes, you want to add a perceived width to your forehead and chin. Your shape typically narrows sharply below the nose. You will tend to look great in medium to small brimmed hats which don’t highlight the chin area. Fedoras, Cloche, Pillbox, and soft hats like Knits and Wool hats tend to be your best friend! For Triangle shapes, your goal should be to extend your head height and look taller. Fedoras and wide brims work well because they extend in height and width. Tall is definitely okay for you. You have some room to play around with large shapes and sizes like the “Jumbo Rainbow” or “Copper Sky” hats. The hat industry mirrors the shoe industry in that one brand may run bigger or smaller than other brands. Typically, men’s and women’s hats are made in a one size fits most fashion. This can mean a standard head diameter of 21 inches to 22.5 inches. Our “Standard” size option is 22.5 inches. This is also our default size option on all hats. Our standard size of 22.5 is our one size fits most hat. 80% of our customers fit into this hat range comfortably. However, if you need a smaller or larger hat size, you should select the corresponding option prior to purchasing your hat. Our “Small” is 21.5, and our “Large” is 23.5. Please contact us directly if you’d like a special size. There is a quick and easy way to determine your head size. Using a tape measure, measure across your forehead. Measure from the peak of one eyebrow arch to the arch-peak of the opposite eyebrow. This is the number you need to accurately assist you in buying the perfectly sized hat.